In our global, fastmoving time, we have a choice: Do we want to strive for durable values or are we satisfied with cheap, fast and low value goods? Anybody that had a good, handmade knife in his hand and used it for cooking knows the answer. Whoever likes cooking, even more in company and likes good food - you found the right place! A thin slicing blade with a keen and durable edge, a good ballance and a high-quality handle - that will make you smile and you will enjoy every opportunity to use this knife. 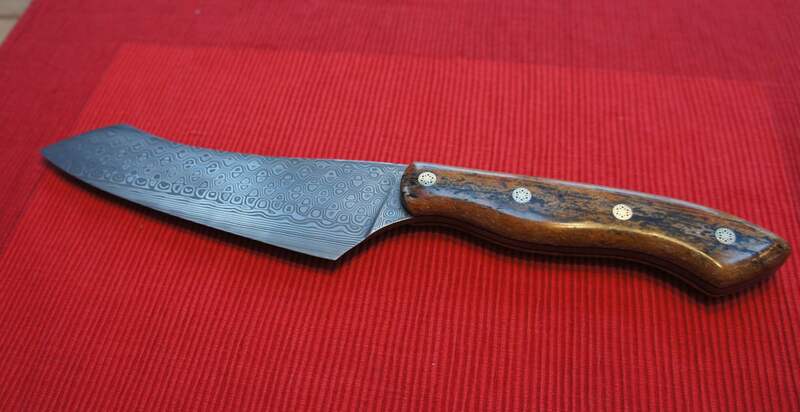 It is obvious that this knife will keep it's edge longer, especially if you care for it.